A day in the life of a middle school student using History Masterminds. In this sample lesson you will find an example of how to plan your week from the unit grid. 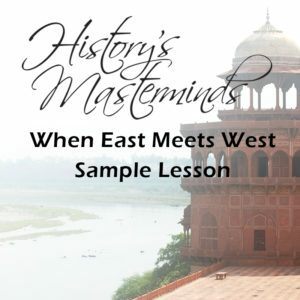 Click the image to download History’s Masterminds When East Meets West sample lesson to gain insight into the TRISMS curriculum.